Green Mountain Couple: Storing water, on the cheap. 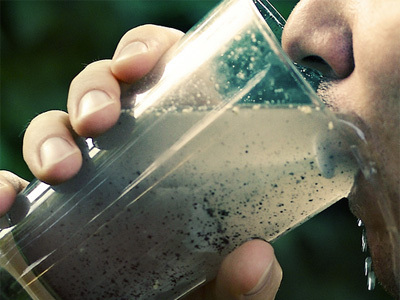 Water, we all need it but what will you do when its hard to get or the only readily available source is polluted? FEMA recommends having at least 72 hours worth of water per person, which equals 1 gallon of water per 24 hours per person. Having 3 gallons of water is typically no big deal to store. You can go the traditional route and buy bottled water at a store, or you can go the non traditional route and store your own. Storing your own water is very simple, and can save you money in the long run. The number 1 way to store your own water is Soda bottles, or an alternative if your not into drinking Soda is Juice bottles. Soda bottles and juice bottles are food grade so once they have been properly cleaned they are safe to store water in. Cleaning a used food grade bottle is simple and easy and most households have the items available to do it. Below are step buy step instructions on proper cleaning. 1: Wash bottle with hot water and dish washing soap. 2: Thoroughly rinse making sure there is no soap residue. 3: Mix 1 teaspoon of uncented bleach, with one quart of water. 4: Take cleaning solution and swish around inside bottle until solution touches all parts of the bottle. 5: Thoroughly wash out cleaning solution. After these five steps any food grade bottle should be safe to use for storing water. For a extra step for people who may be allergic to bleach is simply let the bottle dry before using. You can safely store water this way up to six months, when kept in a dark, cool area like a closet or pantry. You may also consider filtering water if you are close to a water source, but that is another topic for the future.